I am off the next couple days and wanted a little break from my current marathon so decided to do a mini-marathon of disaster films. One for each of the elements....Earth, Wind, Fire & Water! In this rare occasion I am even naming the films I will watch instead of having choices for each. Megafault... from The Asylum. You know what that means, don't you. Clearly the weakest of the four. But can be ok if you're in the right mood. 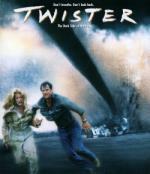 Twister is not bad, except for one scene. 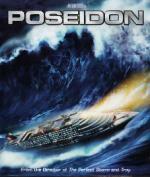 Poseidon is ok, but not in the same class of the original. 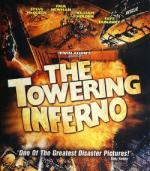 The Towering Inferno is really good, definitely the best of the four. 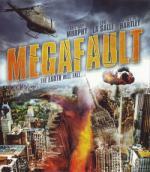 I have seen two of the four before (MegaFault & Twister)...While Megafault wasn't the best of it's kind... I enjoyed it quite a bit. While it is not the best film I seen of it's kind... I definitely enjoyed this one for what it is...a leave your brain at the door disaster film. And the fact that it has a handful of people I know and like in it helps as well. I would say this one is worth the time put in to watch it... but don't go in expecting too much. This is another movie I always enjoyed. Probably more then I should considering everything. I have seen it many times since it was released... but haven't watched it in several years now. And it is the first time seeing it on Blu-Ray. Sure this movie has plenty of unbelievable things in it. It is definitely far from perfect storytelling... but there is just something about this one that I like. You just have to turn your brain off going into it. I really enjoyed both Holly Hunter and Bill Paxton in this one. While I didn't care much for her character... I also enjoyed Jami Gertz in this one. I used to watch her back in the '80s on the sitcom Square Pegs. Excitement reaches new heights in this Blu-ray release of The Towering Inferno which is packed with hours of explosive extras, including 33 Extended and Deleted Scenes, 9 Featurettes, 6 Storyboards Comparisons, Still Galleries, Promotional Materials and more! Paul Newman, Steve McQueen, William Holden and Faye Dunaway blaze a trail of action and suspense in this 1974 Oscar®-winning* escape adventure about a sky-high building dedication ceremony that turns deadly when faulty wiring ignites a raging fire below! I found this one to be a very good film.... It is a long one clocking in at almost 3 hours... but the length really didn't bother me much as it was able to keep my interest. I does have it's slow parts and and really has a '70s feel to it... but over all well worth the time put in to watch it. Definitely recommended.